Needless to say, this is a great song to get us started. As has been done before, this song shouts, "hey, remember us? We're back." It has a very catchy beat. Usually I like it when just the kids sing, but Yerachmiel does a good job of mixing in the adult choir, and, inevitably, himself. I especially like the transitions from the low part to the high part, "l'am l'am l'am sigulah." Those soloists are fantastic. So we're once again breaking the mold by not having a fast song second. But, then again, Miami Boys haven't had a slow song second for as long as I can remember. But this one is not your typical second song, nor is it a typical Miami Boys song. Yerachmiel finally decides to branch out and do a middle eastern type song. It must be a hora, because they tell us so in the song itself. Granted the words aren't so original, but they're sung in an original way, so points for that. Once again the soloists are really excellent, I think one of them is even sfardi. This is a great song. So it's tough to keep coming out with good Mi Adirs because just about every album these days has at least one of them, and sometimes a Mi Bon Siach or two. I wouldn't exactly call this song special, but it's definitely very solid. Pretty much your standard Jewish slow song, and I like slow songs, so we're good. I dunno how Yerachmiel does it, but this must really be a special group of kids because the soloists are really unbelievable. There's a great part at the end when the entire choir sings together, acapella in unison, followed by a soloist and a final "Mazal Tov" again in unison. something. It really gets you pumped. fast part is pretty cute. I really like this song. It starts off with the high part sung a capella. This song, while not exactly as fast as Ribono, still gets you pumped. And again, the soloists are fabulous. These are more original words from Yerachmiel, but they are really great, "Yafeh sho'oh achas biTeshuvah uv'maasim tovim ba'olam hazeh mikol chayei olam haboh. Yafeh sho'oh achas shel koras ruach ba'olam haboh mikol chayei olam hazeh." Very nice. This is another really good one. Another one to get you pumped. The instrumentals are really good, and, of course, the soloists get the job done once again. I also really noticed the harmonies in this song. The rhythm and the tune are fun and catchy. This'll have you dancing right away. that I really liked. Some are better than others, but they just don't do it for me. This is another solid song. Even though these are very familiar words, the tune makes the song a lot of fun. I especially like the middle part, "Yachad kulam hodu, yachad, yachad." And I just can't say enough about the soloists. A huge yishar kochachem to them. almost a cheap parody. I wouldn't call it a bad song, I just think that you need to do it entirely differently than it has already been done. us do pronounce it properly, but at least it doesn't sound strange when it gets sung. The tune isn't bad. If you want to compare it to any song, just listen to Yiree from Shwekey 3 and you'll get a good idea of what this song is about. concert at the Nassau Coliseum. When the Boys first came out, the song they sang was this song. And, believe it or not, the first thing I did when I got home was to check out whether it was a really old song or a new one. So when the new album came out, I checked right away to see if the song was on it, and sure enough it was. It has a very catchy tune, and it's a great way to end this really excellent album. The soloists are super. Umm, get it. I mean, come on, 12 songs? You get more bang for your buck than the average album, and the songs are terrific. Ok, it needs to be done. This is like the most controversial album of the year; serious business. So, I'll try to do my best. So, in accordance with all of Eli's albums, this song is an insta-hit. It's a bit different than most of his other ones, e.g. Lecha Dodi, Kol Hamispallel, because it's not really a fast song in the conventional sense. It starts off rather slow with muted guitar, and then a single soloist singing the high part, "v'ohavto..." Then other singers join him and Eli tosses in the flute, which is pretty cool. The harmonies throughout the rest of the song are great, and there's one really nice modulation. My only complaint is that the song gets a bit repetitive. Still a solid song. Eli then goes the Yosis/Hinei route and has the 'boys sing another fast song. This middle eastern style song took a while to get used to. I now, finally, appreciate the amazing instrumentals throughout the song. Points also for originality. I mean, these aren't exactly your standard words to a song. Anyway, the three parts to the song, "Amar ley Bar Hey Hey l'Hillel," "Hai 'l'himanos,' l'himalos, mi'ba'ey ley," "Elah ze she'manuhu chaverav l'dvar mitzvah, v'hu lo nimnah imahem," all sound essentially the same musically. The only chiddush comes afterwards when the children sing a series of "ooh, oyoyoys," a la Malochim from the first album. I really like the end when they go way up high for a final "Bar Hey Hey." really have anything nice to say, I won't. So this is a cute little song. I wouldn't call it a great song, but it's a nice change after slow song 3, which I don't really believe exists. This is actually the definition of a happy song, following such Gerstner greats as Yismichu, from V'ishei Yisroel, and V'al Kein, from YBC1. It's lively, has nice music, and "bum-dum-bada-badas," so it follows all the guidelines for a happy song. like in V'hu K'Chosson from YBC1, and Avinu from Menucha, and Odcha from Chevra 2. His singing is definitely the highlight of this song; he sings with such feeling and so softly that he almost sounds like a child himself. Now, I've never heard music put to these words, and I happen to like these words very much, so we'll give Eli points for that. So this is really the first electricized song on the album, and frankly, it's about time. While I don't think this is a great song either, I like when Eli technos it up. He also uses some interesting rhythms. Eli, you've worked yourself back into my good graces. Now THIS is a song I can listen to over and over again and forget to eat and drink, and go to daven, and make phone calls...So, essentially, I love this song. Each time I hear "Adiiiiir" and the high "Hashem l'orec yamim," my heart breaks. This is just one of those slow songs that I never get tired of. Well done, Eli, kudos. I like this song too. It's not super, but it's also pretty original. The tune is very cute and the words are ones I've never seen before in a song. The rhythm is also really interesting, especially the last time around the song when they sing the high part, "Z'chor rachamecha..."
So this is a classic case where something gets way too hyped up and then you're expecting something fantastic, and then it disappoints. From what many of you wrote in the forums, this song was supposed to be a real hit. Eh, it's not so much my style. However, it is, once again, quite original. The words certainly are not original, but putting "Yivorechecho Hashem Viyishmerecha" together with "Hinei lo yonum v'lo yishon shomer Yisroel," is sheer brilliance. I dunno, I guess I just expected something great to happen in this song, but it never did. Still pretty good though. Once again, Eli has come up with another original song. This one I really really like. I imagine if they had frum clubs in the city they would play songs like this one. The instrumentals are great, and the synthsizers go nuts. I like the modulation at the end also. I seriously have "Mi'smol umiyamin al Yisroel Shalom" in my head all the time now. A nice way to end the album, just like Tehilas Hashem was for YBC1. to me that you don't really mean. Even though this is not his first album that he has put out, to hear him sing songs composed by yossi green (your the best), pinky weber, moshe laufer and shloimy himself is a big treat. His voice is superb on every song and he shows you his amazing rang throughout the album. The music is great and hes got 2 arrangers with 2 different orchestras which is cool. When he sings, hes just so much fun to listen to and you just have to smile :). The song starts off in a way that you just have to get up and dance, kinda like music to swing dancing. He sings the song so well with the music which makes the song. He starts off singing so nicely and then when he starts going high its awesome. the music and the choir is done very well which enhances the song. at the end he hits the last note vey high and so nicely. This song is vintage Yossi Green. Favorite slow song on the album, prob favorite song of the year. I am a big yossi green fan and he is showing us that he is not slowing down with his amazing compositions with the words from the holy one being unique and touching the Neshama. The music is amazing and played so well. He starts off the song so nicely and just throughout the song his voice is very smooth. the second time around he sings high but with such control, he sounds really good and you can feel the words to the song. the whole song just flows so well with Shloime singing amazing. He ends the song off very well, Chavivin Yisrael. Thank you again Yossi Green, your the best. sounds great and he Shloime sings harmony so well. you can hear how he gets into the song and has fun with it. Kinda like a racheim start to the song. He gets you asking Ad Mosai right away? ;). When he sings the chorus hes just so pleasant to listen too. the chorus fits in so well and he sings harmony with himself amazingly. He ends the song crying and sounds good doing it lol. like it when he sings high " modim anachnu lo a lo laaaaaaaaach". he ends off with a nice high note. Once again only words with the Aibishter's help that Yossi Green can come up with. If i had a choice of who to give this song to sing from Fried, MBD or Daskal, this song i would def give to Daskal. I like Fried and he would prob sing this song very well also but when Daskal sings high he just does an excellent job. I like when he goes high better than fried but i still like fried alot. Daskal shows you he knows how to sing and which style to choose for each song. gets a little fast towards the end which adds a little flavor to the beautiful song. Def growing on me. I have no idea what he is saying but it sounds awesome. all i can make out is chicago, lakewood, monroe, bnai brak and brider. the guitar is all over this song and sounds nice. If someone can explain to me this song that would be helpful, Thanx. Shloimy shows you his Chazanish side in this song. the choir sounds great and Shloimy sounds even better. goes into a little Tantz later on and SHloimy gets you into it. He can also compose beautifully, what a talent. Very nice words. i love how the songs flows and he just knows how to sing and flow with the song low and high. he ends off high so nicely. Although i would of loved to hear an Eli laufer composition, this is good for a final track. He gets you singing Dai Dai Dai, dancing also. Shloimy Daskal knows how to sing and gets you dancing from the start. Go out and get your cop, you wont be dissapointed. Cant wait to hear much more from this mentch. Although I did not see him perform at the Hospice concert, I heard that he made an excellent impression. So after a couple of years of waiting and constant promises of ‘it’ll be out soon’, we finally have ourselves the album CRAIMER! Overall it’s an outstanding production. Shimon has a strong, pleasant, high voice, and he injects a real warmth into his singing. The compositions are solid Yossi Green, and the music – just WOW. With Yossi Tyberg’s input and expertise, the music ended up being a mix of the classic traditional and real new age rocky stuff. I love it! I guess you can say that the collaboration of Yossi Green, Yossi Tyberg and Shimon Craimer, produced… Green Tea with Creamer :-D (No, it’s not my original joke). Shimon graduated from the Royal Academy of Music and is the chazzan at the Riverdale Jewish Center, so he is no newbie at this stuff. He is just a previously unknown act waiting to be displayed to the Jewish Music consumer. General: Shimon’s “British” accent is evident with the way he pronounces his ‘l’s and ‘r’s, which makes it all the more endearing. It’s a solid beginner, a hit which pulls you into the rest of the album. Positives: I LOVE this song. The beat, the music, the tune – you are just transported into some otherworldly sphere when listening to it. I don’t know the classification for this beat, but it’s really perfect – modern and sophisticated yet not goyish-sounding. Yossi is heard strongly in the background vocals and it adds a lot to the song. I fell in love with the song as soon as I heard it. Negatives: The only negative comment I have with this song is that the words seem a little too awe-provoking – “Adir Ayom V’Nora” for such a lebedik song. General: Nachum Segal raised a great question to Yossi: did he feel qualified to take on such a classic as “ilon” and try to create his own classic? Yossi answered in the affirmative, but only time will tell if this song will indeed wend its way into the classics of the next generation. Positives: It took a while for this song to grow on me. It’s a nice song, but not my favorite on the album. Negatives: Don’t kill me, but I am just not crazy over this song…yet It’s just too… predictable for me. Every line in the song had me singing the next line before it came on. It was just too easy. No crazy highs, unpredictable twists, awesome heartfelt kvetches… a nice, easy, singable song. General: Oh baby! This was the first song I heard on the album – on Five Towns Radio – and was smitten instantly! It’s my favorite fast song on the album, along with Adir Ayom. Shimon pays homage to his British roots by offering us a remake of a forgotten Yigal Calek classic, albeit updated and modernized. Positives: What an amazing song! The tune will have you tapping long after the song has ended. The music is just fantastic. It’s got that accordion sound, which is not a very oft-heard sound in Jewish music. The beat is also something unusual in JM – I wish I knew its proper name. Negatives: I’m sure Shimon, Yossi and everyone reading this will be thrilled that I have nothing negative to say on this song :). General: As I felt after the Ohad album, I think Yossi Green’s strength recently has begun to be more evident in his fast songs as opposed to the slow ones. While I loved the fast songs on the album, the slow ones have yet to really grow on me. Perhaps it is simply the fact that a solo album bores me more quickly and the slow songs begin to sound the same after a while. Nevertheless it is a solid song with a lot of heart. Positives: This is a soft song with the potential for becoming a ‘wedding meal’ repertoire song. Shimon’s true range is exercised as he has to hit some truly high notes, which he does effortlessly. Negatives: As noted above, I need to listen to the album a bit more to truly appreciate this song. General: Here we go with another great, catchy fast song. Lebedige, fun Shabbos Zmiros song. Positives: I always love songs with Yossi singing along in them, and this song is no exception. Shimon also hits some high notes in the song, showing off the true prowess of his voice. There is some cool shtick halfway through the song with simulated clapping and stuff. Negatives: It is a rather predictable song, but at least it makes it easy to sing along with. General: Nice, relaxing slow song. I like the soft Yossi Green backup and the original Yossi Green acapella. Positives: Very nice musical intro of flute and piano. Shimon really puts his heart into this piece and I can see this being a future kumzitz song. Very relaxing song which puts you into a mellow mood. General: After I got over the original disappointment about the high part sounding like a Hillary Duff song – which someone in the production told me was purely coincidental – I really began liking this song. Positives: As with the other fast songs on the album, the music is catchy and up-to-date. So are the tune and the beat. Another excellent wedding-type song which definitely has a future. Negatives: Since I’ve harped on this song enough due to the above-mentioned similarity, I think no more negativity is necessary :). General: I haven’t heard this song enough times to really form an opinion. As you imagine, it is a slow song. Positives: Shimon exercises all the beautiful nuances of his voice in this song. The music is also really beautiful. Negatives: None to enumerate besides my continuing struggle with the slow songs on the album. General: In keeping with the tone of the fast songs on the album, this is another masterpiece. It’s full of shtick and surprises and will keep you on your toe from beginning to end. Positives: As I said the song is very shticky… Remember Yossi Green’s piece at the beginning of Dedi’s “Ki Heim”? This song has something similar, and it fills you with great vibes of that hit song! The music is solid and pumping. At one point the music mimics a tape being played backwards – it’s really cool. Yossi sings a lot in this song and harmonizes as well. It’s a very high-spirited song. I love it… as I said this album is full of great fast songs. Negatives: Nothing noticeable to comment negatively on. General: The album ends off with a soothing, somber reminder of Yerushalayim. Positives: The song is only 4 ½ minutes long so it doesn’t tire you. The violin/cello music is emotional and beautiful. Negatives: I think I’ve been negative enough with the slow songs on the album so I’ll desist for now :). I realized upon completing the review that I might come across a little overly negative… Don’t worry, I love the album, and I’m sure the slow songs will grow on me over time. And even if they don’t, they will surely grow on you! Craimer has a beautiful voice, the compositions are top-notch, and the music is never-heard-before spectacular. A true masterpiece and a must-get! If anyone has additional positive reviews on CRAIMER, please feel free to speak up! The former child prodigy has done it again. 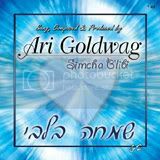 Ari Goldwag has once again composed, sung, recorded, arranged, directed, and produced his own CD. You know what they say – a debut album is only successful if the second one is as good as the first. Nah, I just made that up. But it’s true, if you think about it. Many debuts have come and gone without a follow-up album. But Ari is here to stay. He still has many compositions to offer and the Jewish Music world will yet benefit from his musical genius. I was really nervous before the album hit the stores. I had heard many of the songs in advance, and while the compositions by themselves were great, you can’t judge a song until the package isn’t complete. I hoped the arrangements, choir, etc. would be good, if not better than the first album. As I mentioned before, this CD needs time to grow on you. I find this to be the case with almost every solo album. Solo singers tend to bore you, so you need to listen closely and thoroughly. Then the magical moment happens – the CD clicks with you, and the musical message entrances you. The songs on Simcha B’libi are all simple and singable yet they reach into your heart. In typical Ari style, every song he releases has a message to convey and some even have a story behind them. The CD insert offers the source and translation of every song plus a little explanation as well, which is very inspiring. Let’s move on to the songs – in my new simplified style which will make it easier to read. Since not all of the songs had negatives, I only put them in where necessary. General: I was very surprised that the first cut on the album was NOT an Ari Goldwag composition! I also had no clue what the words were until I got the CD. It is quite an unusual combination. The first possuk is from Shoftim: לבי לחוקקי ישראל המתנדבים בעם ברכו ה' , followed by “Boruch Hashem L’olam omen v’amen” etc. I had never heard those words before, and it made for an interesting combination. Positives: This is a very catchy song. The word “b’om” makes the song sound like it has “bum, bum, bum” in it. It’s fast, it’s lebedig, it’s an instant hit. Negatives: The tune is a fairly simple one, but it’s very well orchestrated so it doesn’t bore you. General: Interestingly enough, instead of going the ‘fast song, slow song’ route, Ari chose to have a semi-fast song as the 2nd track. The words are from birchas hamazon, הוא הטיב הוא מטיב הוא יטיב לנו etc. Positives: It’s a really ‘cute’, catchy song. I have to say that since I heard this song I find my bentching more meaningful and stop when I reach these words to reflect on them. The music is very nice, and it’s one of those tunes you’ll want to bop along to. The acapella part at the end is a nice added touch. Negatives: The tune is a bit repetitious and it drags on a bit long (5 ½ minutes), but it’s got its unique twists so it’s not a yawner. General: Ari’s strong point is his slow song. The compositions are always amazing, and he sings with such deep feeling and pure heart that you can’t help but be captivated. He also wisely chooses excellent pesukim for his slow songs, so that when you reach those words in your own davening or tehillim, you feel moved and inspired. Positives: I love the piano intro. It’s a beautiful, moving song which will uplift you. General: I had heard this song in advance and was kind of leery, because it’s a Sefardi song. I couldn’t for the life of me imagine serious Ari Goldwag singing in Sefardi. But the result was surprisingly good. What a fun song! Positive: Lebedige, Sfardi style song but not overdone. You’ll find yourself dancing along in no time, if not actually singing along in Sefardi. Negatives: I still find it a bit comical to hear Ari singing Sefardi. Haha :). General: This is easily the most moving song on the album. Ari composed this when his good friend Avi Stewart’s (the “Chaim Schwartz” on Ruach Uneshama) sister passed away (sadly at a very young age). You can feel the raw emotion that this song portrays. I paused this morning when I said Elokai Neshama and the song sang in my head. This song features a duet with Avi, who has a remarkably similar voice to Ari. If I hadn’t known it was Avi I would’ve thought it was just Ari doing harmony. Positives: This is an absolutely stunning song. I daresay it’s Ari’s best slow song yet. The harmony is exquisite, the tune very original. It’s slow and moving at first and then speeds up but remains very moving. It is this song that makes the album what it is. This song alone makes the whole album worthwhile. The arrangements are fabulous, especially the piano at the end of the song. General: This is an English song featuring a duet with Ari at age 14. Positives: The only thing that’s really outstanding about this song is its sentimentality. It’s always a treat to hear the Ari Goldwag of youth. The song was ostensibly composed by Ari at a young age (he’s 14 when he sings it, but his voice is still remarkably good). The message of the song is a simple one, to trust in HaShem. It’s fun to ‘imagine’ that Ari junior is singing side by side with Ari senior, or to picture it as a time capsule. The harmony is great and music is excellent. I’m not sure if I like Aleinu more than than this song; Aleinu was one-dimensional and this has more to it, but Aleinu was exciting cuz it was the first time we heard Ari+Ari. Negatives: The quality of the childhood recording is not too good. The then and now parts of Aleinu merged more flawlessly; you could swear there was a real child soloist there. Here it’s more obvious that it’s an old recording. The lyrics are also very simple and as someone wrote, “campy”. It’s a fun song to listen to though. General: When I first heard this song as a raw cut, I thought to myself “This will never work!” The entire song consists of three words: נתת שמחה בליבי. It’s from Tehillim kapitel Daled. Then when the Cd came out I was pleasantly surprised what Ari did with the song. The music is great and it’s a fast moving song – he did a great job with it. It’s quite unusual to have a Title Track at the Seventh Slot. Positives: The song does exactly what the words say – nosato simcha blibi – to put joy in my heart. Negatives: Song is a bit repetitious; but it’s only four minutes long so it doesn’t get tiring. General: This is Oichila II – but even better than Oichila. This song just gives me the chills. The music is outstanding, the emotion unbelievable. The words highly original, and the message profound. The words are from Ovadiah: והי' בית יעקב אש ובית יוסך להבה ובית עשו לקש ודלקו בהם ואכלום. ולא יהיה שריד לבית עשו כי ה' דבר.. Ari explains on the insert that “The days are coming soon when Klal Yisroel, the children of Yakov will rise up as a great flame, consuming all the corruption, filth, and contamination of the nations of the world. This is the fire of Torah and spirituality, which will quickly lay waste to the hollow emptiness of the meaningless values of the secular world in a flash, leaving no remnant but a cloud of smoke that will quickly dissipate, leaving no trace.” This is a very interesting concept and a beautiful song. Positives: The musical arrangements on this song are outstanding; the vocals moving, and the message profound. It’s my favorite song on the album, like Oichila was. A-1 job. General: Very interesting song. A lot of it is sung on half-notes (don’t know the musical term for it). The song certainly keeps you on your toes. Fast, lebedige song, the words match the tune perfectly. Positives: It’s really great that this CD has some good fast songs. Slow songs are usually always beautiful; if fast songs are good too then the album is complete. General: Beautiful Aishes Chayil song. I hope this will become a wedding staple, and I have a feeling it will. Elana Goldwag has a flute solo on the song. Positives: Especially for a song on track 10 this is really good! Compare it to Boee BShalom on the first Ari Goldwag – a ballad sung by Ari all on his own. Negatives: This tune gives you the distinct feeling of “I’ve heard it somewhere but don’t know where.” Maybe it’s just the words that are very common. General: What a treat – an 11th track :). Very interesting, different English song, similar to “Shallow Waters” – by the same composer. Positives: This is a very catchy song. You have to listen to it carefully and you will be amused. Ironically there is one line in it that says “Metaphors don’t mean a thing to me anymore” – and the entire song is one big metaphor :)! The lyrics are highly unusual and very entertaining. A sampling of the lines: “Better make that payment, better pay that toll, Because there is a lien upon your soul.” It’s not your usual “Moshiach is coming/Pray to HaShem/Let’s bring all our Russian brethren back to Yiddishkeit” theme. Negatives: It takes a lot for a song not to sound “campy” and cliché, and this song will not go down as an English classic. It’s a great, fun song though. Bonus track: Mimkomcho from V’Zoicher, composed by Avi Kula. Gorgeous song with quintessential Ari Goldwag gefeel. Hidden track: 1 minute Acapella portion of the choir and Ari singing part of Ana HaShem. Summary: It’s a solid offering, an Ari Goldwag masterpiece. You’ll be uplifted, inspired, find meaning in words you’ve been saying every day, and discover new words you’ve never heard before. Go get your copy today! it's one of my favorite albums, I figured I'd give it a shot. album, but this one is much more my style. ratings will go from 5-10.
advance. Now, onto the songs. the "Yehei" of this particular album. Now, as not a huge "Yehei"
when all the singers come together for a final "neitzach v'hahod,"
album, and I give it a solid 8.5.
song really does it for me, so I give it a 9.
quirks are really cool. So, this song rates a 6 with me. rate this song a 9.
only percussion in the background. This one gets an 8.5.
unexpected, "Hashem yishmorcha mikol ra, yishmore es nafshecha. li v'lo ira." The little boy who starts off the song is very good. good song, so it gets a 7.5.
beginning of the song reminds me of what a club would sound like. The song is pretty standard, but it has a few interesting quirks. pretty good. I give it an 8.
could use a little work, but I still really like it. Another 9.
really want to get some feedback. Thanks for reading. Shwekey 3. Even if I don’t write this review, it will be the hottest seller of the year, purely by virtue of name recognition alone. How Yaakov Shwekey managed to beat out so many other newbies and wannabes and become the fastest rising JM star of the 21st century is fodder for another essay. The best part of this album is Shwekey’s voice. It’s amazing. It’s stronger than ever, richer, and he sings with more heart and soul we’ve ever heard him, yet he doesn’t screech like he did at times on Shwekey 1. I do not have the CD insert as I received an advance copy, so I don’t know any of the credits besides for the composers. I adopted a different format for this review, as you shall see. I might just use this format for every review as it’s much easier and I don’t have to repeat myself with the same superlatives again and again. Enjoy! General: This will probably become a hit song just because it is the first song on the CD. It’s a regular lebedige song. Positives: Shwekey puts a lot of heart even in this lebedige song, and ends on a very nigh note very beautifully. Negatives: It’s not a very original song, and the arrangements are very typical. I didn’t like it at all at first listen, but it’s grown on me. Compared to Shomatee and Pisom, I’m surprised this got the first slot. There are better songs later in the CD. But I guess they didn’t ask for my opinion :D.
General: Slow, heartzige niggun with a lot of unbelievable Shwekey gefeel. Probably comparable to Av Harachamim and/or V’Na Al Tatzricheinu. Positives: A lot of Shwekey heart. This will become the slow favorite for Shwekey die-hards. Not my personal favorite on the CD as far as the song goes, but the Shwekey gefeel is amazing. Beautiful falsetto ending. Negatives: This song took a long time to grow on me. Once again, points off for unoriginal possuk and tune. The music is great but I have this distinct feeling of already having heard it already somewhere, especially the opening riffs. Anyone with me on this? General: An improvement over the first 2 songs; the cd begins to pick up a little. It’s a medium-fast song; faster than a hora yet not a real freilach. It’s a really fun song. Positives: I like the tune a lot and the arrangements are really good. The middle part has a pseudo-middle eastern feel to it. The “bo bo bo” is very original. I can see this becoming a wedding hit. It’s an enjoyable song, easy to learn and fun to sing along. Negatives: Somehow I keep thinking of Yisroel Williger’s song “hafoch bo hafoch bo” and trying to decide which one I like better. Also “ben bag ben ben bag bag omer omer” becomes a little cumbersome after a while and too tongue-twistery after a bit. General: If this was meant to top Meheira from the first album, it didn’t come within 200 yards of it. It’s a slow song with the words “Sameach Tesamach.” It will be loved by someone and disliked by others. I’m in the second category. Positives: I guess the only positive thing about this song is Shwekey’s powerful voice and the gorgeous harmonies. Negatives: I can’t bring myself to like it. I dislike slow wedding songs. Meheira was a rare exception. Also, the high part of the song reminds me very much of another song which I can’t place my finger on. Maybe someone out there can help me out. General: Ahhh, now youre talking! Another Yossi Green hit. I love it. I can just see it become a wedding favorite Great hora style song with excellent arrangements. Positives:. Points for extreme originality -- never heard the possuk in my life. Very catchy lyrics and great to sing along to. Great choir work too. Negatives: It is a tongue twister, but a pleasant, easy one. General: I smelled a Pinky production way before I knew who composed this gorgeous song. From the first word I just knew I was in for a hit. This is my favorite slow song on the album. It starts with a little chazanus so it might be harder for wedding singers to do this song, although I think in chasidishe circles it will definitely be a hit. If youre a fan of the Pinky style, this song will catch you right away. It was one of those songs I loved at the first listen. Positives: It’s just plain a gorgeous song. The words are original – I don’t think they’ve ever been used before, and it brings out the best in Shwekey’s voice. The song goes from slow chazanus to just slow hartzig to medium fast. It’s very original, very gorgeous, and a tear jerker if you like slow songs. I absolutely love it… Pinky+Shwekey can only = perfection. This song seriously doesn’t bore me and as I said before, is my fave slow song on the CD (besides the English song, which IS my favorite song on the album!) You can’t be bored for too long because it picks up tempo after a few minutes and then slows down again, so it’s always changing. The song is over before it begins – not too long at all. Negative: If you don’t like chasidishe-style and chazanish-style songs, this one might rate low on your favorites chart. But not me! General: Another hora song. Excellent, original arrangements. I especially love the piano. Positives: It’s a cool song because it’s not what you’d expect from an Omar Rabbi Akiva song – it’s a heartzige hora, and I like the intro a lot. Negatives: My favorite Omar Rabbi Akiva will always be Yossi Green’s version on Ohad’s tape. The tune of this one isn’t very original nor does it offer anything unusual or new. General: Words will not suffice to express the effect this song had on me the first time I heard it. I was electrified. Tears were pouring down my face by the time the chorus came around. It tells the story of a mother (or father?) who gave his/her child to non Jewish neighbors for safekeeping through the war and when an askan came back to reclaim the child, the owners of the house refused to admit there was a Jew in the house, until the parent said “Shma Yisroel” which jogged the child’s memory. The tune is just stunning; it will stir your heart. The lyrics are great too; did you expect anything less from Abie? Positives: As I said above, it’s just a stunning piece. It’s probably the hit of the entire album, although English songs tend not to be used much. I wonder if Shwekey will manage to sing this at any of his concerts, esp. this Succos – that would be a treat. It’s just amazing how Shwekey never wanted an English song on his tapes, until Abie heard him sing in Yiddish on Shwekey B’simcha, nabbed him for “Mama Rochel”, which became such a runaway hit that now Shwekey has a real English song on his new album… This song will make you cry and uplift you at the same time. General: It seems that Slot #9 has been reserved on Shwekey’s albums for the prerequisite Sefardi song. You liked Ki HaTov? Well get ready to get your socks knocked off – this song makes Ki HaTov sound like “Tzavei, Tzavei...” It’s Yossi Green at his middle-eastern best! Positives: WOW… it’s an amazing song. It’ll have you bopping along from the first beat to the last. The choir must have had a ball singing, because they are very high spirited. The song is very original and so authentically Middle Eastern it’s hard to believe that a native of Williamsburg composed this :). Shwekeys’ voice takes on a Sefardi quality and it’s just a blast to sing along. Negatives: Couldn’t find anything negative on this song :). General: After such a fast paced song as Al Chomotayich, you need something serious to settle back down with. I like this song a lot. Positives: Although the market is saturated with Im Eshkochechs, we can never have enough. If this is the Yochanan Shapiro of “Acheinu” fame, I’m glad he’s being picked up for more composing gigs. It’s a very nice song. Negatives: The tune is very similar to Shloime Dachs’s Im Eshkochech. General: The man of many hats sings an authentic chasidishe song. I never thought his brother could produce a song that sounds like it was a Wertzberger composition :). I don’t doubt for a second that this will become the next Chasidishe wedding hit. Positives: It’s amazing to hear Shwekey sing like a born-and-bred Willy boy. What a true chameleon :). It’s a lebedige song and a real treat. It has all the inflections you might find on a Camp Shalva or an Eizik Honig tape. Negatives: People who don’t care for chasidishe style songs might find this too typical. In summary, Yaakov Shwekey is certainly deepening his mark on the JM scene with this, which completes the trifecta of the Briskman/Shwekey collaborations. The cd is a guaranteed runaway hit. I am curious to hear which songs others out there like and dislike. Comments are welcomed. Also remaining to be seen is what direction Yaakov Shwekey will choose to take his career in after this. I will certainly stay tuned. OK, GUYS , HERE IS MY REVIEW ON NOCHUM STARK'S SEFIRAH TAPE. I'M NOT AS ELOQUENT A WRITER AS MINDY, SO I HOPE MY REPORT DOES THIS TAPE JUSTICE....BECAUSE IT IS AMAZING! 1- AL HATORAH- SUNG BY NOCHUM- SHORT BUT BEATIFUL. THE HARMONIES ARE BETTER THAN ON THE ORIGINAL TAPE. 5- MI ADIR- MY FAVORITE SONG OFF NOCHUM'S ALBUM. THE HARMONIES HERE ARE EQUISITE ( SPELL CHECK?) . I LOVE THIS SONG! 7- RETZEI- DONE BY NOCHUM . I LOVE THE WAY NOCHUM HARMONIZES FOR HIMSELF (MULTIPLE VOICES.) I CAN LISTEN TO THAT PART OVER AND OVER. 8- ZECHOR- DONE BY KUPPY. I'M NOT CRAZY OVER THIS SONG, (THE SECOND PART REMINDS ME OF AN OLD AVRAHAM FRIED SONG). ALTHOUGH KUPPY AND THE CHOIR DO A GREAT JOB ON IT. 9- TFILOSI-NOCHUM OF COURSE. ZEVY DOES PART OF IT, ALTHOUGH BY SOME PARTS YOU CANT DIFFERENTIATE, CUZ THEY SOUND EXTREMELY SIMILIAR - WOW! I LOVE THIS SONG! TO SUM IT UP, TO ALL OF YOU GUYS WHO USUALLY CHEAT ON SEFIRAH...(AHEM, MYSELF INCLUDED) GET THIS TAPE!!!!!! AND TO THOSE WHO DON'S CHEAT...GET IT TOO!!! IT'S WORTH BUYING! I owe you guys a review of Acheinu, the beautiful CD by the Shapiro brothers. Life has been so hectic lately but I finally found some time to write about it. The concept of five brothers doing a CD together is a rather nice one. I’ve never heard of this singing family, but the Lifestyle magazines article gave me some insight into them. The brothers are Yisroel Meir, Yossie, Yochanan, Ushi and Aaron Shapiro. According to the article they’ve been singing all their lives – they sang for Pirchei, Amudei Shaish, 613 Torah Avenue and others. They always knew they would eventually sing together on their own album. After composing many songs over the years they finally chose the best ones but didn’t know where to begin to have it produced. Then at a friend’s wedding the five brothers sang Aishes Chayil during the meal, and Yochi Briskman just happened to be among the guests…He was very impressed and offered to produce the CD for them. Yochanan Shapiro composed most of the songs, besides for Refoainu which was composed by Yossie. Unfortunately I do not know who has which voice, and I wont even bother trying to learn/differentiate between them, but I do know that it has a very beautiful and unique sound. Group albums are always more pleasant to listen to than solo albums, and these five brothers produce a beautiful sound together. They even have their father and one grandson guest solo in Bni, which is their most beautiful and most popular song. I was amazed to learn that their father Rabbi Yerucham Shapiro is the administrator of BY of BP – I did not know that! Anyway, let’s move on to the songs themselves. Out of all 10 I don’t think there is a single filler song. Each one is carefully composed, orchestrated, arranged, and presented. It’s great stuff! 1. Ki Lo Yitosh – a fast, upbeat, catchy tune which will have you dancing in your seat. I love the music, especially the violin. I like the “Am Yisroel Chai V’Kayom thing stuck in the middle. The lyrics match the tune and it’s very nice. 2. Aishes Chayil – as I said above, it’s the song that caught Yochi’s attention and was the catalyst for the CD. It took a while for the song to grow on me because it’s a little bit too long and drawn out – 6 ½ minutes – but it’s a beautiful rendition of Aishes Chayil nevertheless. 3. V’chulum Mkablim – this falls into the genre of the ‘semi-fast/semi-slow’ songs a la Gadol from Shalsheles etc. Nice tempo, great arrangements, good vocals. I think all five guys all had a good chance each to solo a bit on this song so you get to hear each of them, all of whom have beautiful voices. 4. Bni – this is probably the centerpiece song of the album. This song got me hooked on the tape in the first place. As mentioned, Boruch, Yossie’s son has the child’s solo and Papa Yeruchom Shapiro has the grandfather’s solo. It’s always nice to have a three-generation song and in this case it’s almost “di gantze mishpacha” since five brothers sing it. It’s 5 ½ minutes long but every moment of the song will keep you glued to your seat. It’s very hartzig and really gorgeous. Probably the best version of Bni I ever heard. I love it. 5. Ki Saytzay – this is a very unusual lyrical selection, and very original. I enjoyed it a lot but since the possuk is unfamiliar to me I find it hard to sing along without the insert. Excellent lebedige song, and points for originality. I love the violins at the beginning as well. As I said before the arrangements on the album are exemplary and I love the instruments that were used. Very lebedig and very catchy – I think it’s a hit. Nice nananas, nice ending – probably the best fast song on the album. 6. Kavei El HaShem – this is probably the most typical song on the album. But once again I adore the violin intro. It’s the music that makes this album stand out. 7. Maher – Very nice slow song with a lot of heart and cool piano work which I really love. 8. Invei Hagefen – Great hora style song. Great electric guitar intro and beat. I really like this song and can see it being a wedding hit. Although it may sound like something you’ve already heard before, it has its own unique twist and is very enjoyable to bop along to. 9. Refoainu HaShem – beautiful song, this one composed by Yossie Shapiro. It really brings out the essence of the tefillah to hashem for a refuah. I really loved it. Very heartzig, very well done. Truly a beautiful song. It’s amazing; usually most cd’s have the quality of their song decline as they approach the end, but this tape kept consistent throughout. Some of the best songs are towards the end! I liked the “Rofei Cholei Amo Yisroel” verse. The vocals, harmonies, and arrangements are exquisite on this song. My second fave slow song, after Bni. Truly a heartstring-tugger. 10. Uvnei Yerushalayim – Very catchy way to end the album. Great variation on UVnei Yerusahalyim – perfect closer song. A real toe-tapper. It truly sums up the tone of the CD; mellow, heimishe music, yet with a modern twist and a contemporary flavor. In closing I’d like to state that I enjoyed this breath of fresh air and I think by now most of you have heard enough cuts on the radio to know that it’s a great CD and worth buying. I wish the Shapiro family a lot of luck and I hope this is not the last we have heard from them. I also hope we hear them do some radio interview one of these days. Thank you! This is the first time that im writing up a report on a tape and I hope I will do a good job, cuz I’m not the best writer but I am a big fan of JM so I don’t think it can be too bad.. Right? A new British singer on the market, a great singer with a great future. A confident singer, just what we need. I just wonder why there isn’t a picture of him on the insert, Id love to see him. Anyways on to the songs. A fast lebedige song composed by Yishai Lapidot with his typical yet original lebedige style. Great job on the intro, lively music, drums and all. Excellent musical background effects, it has a nice ending too. And a very good song to start a tape. This song is gonna be a hit and I can imagine hearing it at weddings. Ill rate this song a 9. A beautiful slow song. Another one of Yishai’s compositions, though I’d never guess that he composed it, I’m used to Yishai doing fast, lebedige, tempo songs. But it is a very nice song and you can hear how Sruli puts his heart and soul into this song, and this is gonna be a nice wedding song. Although I don’t usually go for slow songs, this one is different, it’s just too beautiful. The only thing I don’t like about this song is the other ppl doing mmmmmm’s in between, otherwise it’s a great song with a beautiful intro and nice musical background effects. Ill rate this a 10. A great lively song composed by Yossi Green. Great lively intro as usual. Excellent Musical effects. This is my second favorite song of this tape. It’s quite fast, lively And good. Sruli comes through very clear on this song, and it’s got a nice ending too If there is too much to add you keep quiet, I’ve got nothing more to add to this songIt’s just too good. I’ll rate this song a 10. Another beautiful slow song composed by the famous Pinky Weber. It has a pretty nice intro and again you can hear with how much heart and feeling Sruli sings it. I wouldn’t say that its depressing, music dosent depress me. But makes me in a better mood and this song can also do it even though it is a slow and very moving song.Nice music in between and nice ending. But in NO WAY would I say that this is another or a substitute of Racheim. I’ve come to the conclusion that NOTHING can replace Racheim. Racheim is just very unique and original. It is in a way similar to Racheim as its composed by the same person but yet it is unique and different. Again this is just my humble opinion and you don’t have to agree with it at all. But it is a beautiful song and very emotional. I’ll rate it a 10. This song makes me laugh. It is so different than all the other songs on this tape, but again for a tape to be good we need a taste of everything. This song actually comes from Munkatch, but it’s not something special. Just a plain old typical song. And he sings it the heimish way too so it sounds even more heimish. It has a nice intro though and nice music in between. And I like the men singing. It’s got a nice ending to it too. Ill rate it a 7. I This is a very interesting song composed by Sruly Himself which makes it unique since he didn’t compose any other songs except for Limos Hamoshiach. It’s nice and slow with a nice intro and nice musical effects. But somehow this song sounds very radio-ish. I don’t know if it’s the way he sings it or the way the men sing in the background. But it looks a little radio type. Anyways it’s still pretty nice. And I would rate it an 8. To sum it all up. This is an excellent, lebedige, tape and that’s why I like it so much. Id much rather go for fast lebedige songs than slow ones. A slow song has to be very nice that I should like it. I don’t know if you realized but on every song I wrote that the intro is great and it takke is. And a lot of times the intro can make all the difference in a song. When I hear an intro that doesn’t look too nice, I don’t even bother hearing the rest of the song. I just fast forward it. So it makes a lot of a difference and this is what makes this tape so good. So whoever did not go out and buy it yet. Go right away. I recommend it to everyone who likes lebedige songs. I think it’s quite a hit album. Sruli You are doing a great job! Keep up the good work!! It’s finally here! Michoel Pruzansky’s long awaited album, “Ashrecho” – yes, the one for which Ari Goldwag wrote “My song on Pruzansky's album? anyone know about it? if YOU know anything, let ME know. Thanx.” LOL : -) . Well, Ari, and everyone else, here it finally is. An album worth waiting all this time for. The amount of dedicated hard work that Pruz’s team put into it, is evident in the quality of the songs, the vocals, and the music. I am really impressed. It’s been just ages since a really good solid album came out on the market; there was mamish nothing of note released in the past six months. FINALLY, something good to listen to! In today’s JM world there are basically two genres: the old-fashioned, “typical”, yeshivishe style, and the newfangled “new and different” style. If you’re the kind that doesn’t enjoy old-school wholesome kind of Jewish music, this album isn’t for you. But if you’re bored of every new singer and group trying to outdo each other with innovative new styles, and crave for some good old-fashioned, singable songs, here you go! This CD takes on the predictable pattern of: Song 1 – fast hora, hit of the tape; Song 2 – beautiful slow song; Song 3 – kumzitz style song;, Song 6 – hora – and so on and so forth. As I was listening to the cd, I kept waiting for the inevitable filler songs. But they never came. Every single song is solid, singable, and beautiful. 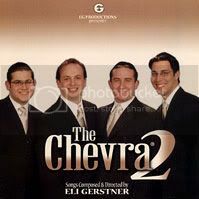 The crème de la crème of composers all have a song or two on this cd: Eli and Moshe Laufer, Yossi Green, Yitzy Waldner, Ari Goldwag, and even a newcomer to the scene. Michoel has one advantage over some of the newcomers; he already has experience. He’s sung on plenty of simchas, and performed with the Miami alumni a couple of times. I’ve seen him; he’s got great stage presence. He has the confidence, the ability to hold a crowd, and wow, a strong voice to boot. So IY”H when he hits the concert arena, he won’t be one of those guys who “has a great voice but needs to work on his stage presence”, because he already has it. I think that his stint with the Miami alumni is going to be very helpful towards putting him on the map; many people know about him and his album because of those concert appearances. Interestingly enough, with many of the recent new singers, their slow songs were their strength on their cds. In this one, even though the slow songs are beautiful, the fast songs are really fantastic. It’s been a while since the Jewish Music market had some good, solid, lebedig songs. About time! Ashrecho also has one unique feature which I don’t think I’ve seen on a cd before: It coincidentally has four Yerushalayim songs! Ha. Maybe the cd oughta be called “Yerushalayim”. The tape was produced by Yochi Briskman and arranged my Moshe Laufer. Eli Laufer arranged the choir. Song 1: Ashrecho composed by Eli Laufer In my opinion, this is the hit song of the album. The words are: Pas Bamelach Tochel, U’Mayim Bamsuro Tishteh etc.. It’s a “fast hora” – not fast enough to qualify for a fast song, but faster than a hora. I really like it. Michoel’s voice is amazing; he sounds like MBD with even more strength! Although he probably doesn’t have the highest range, he hits the high notes very well. It’s not your typical tune, yet very easily singable. This is one of those songs that will sing in your head for a long time, and you will find it very hard not to dance along with it. I rate this song a resounding 11! Song 2: UVnei compose by Yitzy Waldner Here comes your inevitable first slow song. It’s gorgeous! The words are: Viliyerushalayim Ircha b’Rachamim Toshuv etc. etc. Michoel has a lot of gefeel and its evident in this song. I rate this song a 9. Song 3: Simchu Yerushalayim composed by Pinky Weber Wow. What a destined classic. This is one of those “new-genre” songs; like Godol from Shalsheles, V’Atah Kisvu from Menucha – I don’t know what this type of song is called, a ballad, a waltz, whatever. The words are something completely new. It’s from the Shabbos Rosh Chodesh Haftora: “Simchu es Yerushalayim V’Gilu Boh Kol Ohaveho Sisu Itoh Mosos Kol Hamisabelim Oleho” and the high part is: “K’Ish Asher Imo Tenachamenu Ken Unocho Anachemchem Uviyerushalayim Tinuchomu.” It’s a really fantastic song, and I hope it will be picked up, because it deserves tons of airplay. Once again, Pinky at his best! Michoel does some great harmony on himself, and it’s just gorgeous. I rate this song a 10. Song 4: Hareini Mezaman composed by Moshe Laufer. Another slow song, but not slow enough to depress you. There isn’t much choir work, and you have a chance to see Michoel’s range and hear his heart and soul come out in this song. I rate this song an 8. Song 5: Yosis Alayich by Eli Laufer The requisite wedding song – one of the two only real fast songs on the tape, and what you would call a very typical song. Very nice clarinet work on it; sounds like a lebedigeh chasidishe niggun. I can see this song being sung at weddings. I’ll rate it a 7. Song 6: Da Lifnei Mi composed by Yossi Green You can see right away that this is a Yossi Green composition. (His voice is heard clearly in the choir : -) ). This is a hora song, and the tune is great. I like the intro very much. There is some really good choir work and “nah nah nah”s. Yossi’s voice adds tremendously to this song. There are also some great harmonies. Also, the word “hu” is sung very creatively. I rate this song another 10. Song 7: Ko Omar by Yitzy Waldner Another slow song, with a very nice guitar intro. A rather typical song, but Michoel gives the slow songs his whole heart and neshama, which makes it for very pleasant listening. He sounds particularly good when he sings the high parts, which bring out his gefeel. There is some very nice electric guitar work and violins on this one. It ends beautifully on a very high note. I rate this song an 8. Song 8: Im Atem by Isaac Altman Here comes another new composer face on the block. I love this song! I think it belongs a little earlier in the album, in my humble opinion. The words are pretty original too: Im Atem Mshomrim Neiros Shel Shabbos Ani Mareh etc. etc. (It’s from Midrash.) It’s a very catchy tune and the choir work is great. As I said, the fast songs on this cd are are fantastic, and this one is no exception. I rate the song another 10. Song 9: Yerushalayim by Ari Goldwag The long awaited song of the album. I thought it would be featured way earlier in the album. I was surprised that it’s put so late. It sounds pretty much exactly like he performed it on stage, with the backup choir and all. Really gorgeous song. In my opinion it needed a little more music. It has virtually no rhythm in the beginning, although the piano is really beautiful. Once again Michoel’s full range and true heart and gefeel come out in this piece. I rate it a 9. Song 10: V’haveeainu by Eli Laufer If there is a filler song on the cd, it’s probably this one, but it’s not a bad song to end the tape with. This is the fourth Yerushalayim song on the tape, and the 2nd fast song on the tape. The choir work is cute on this one. Nothing majorly earth shattering about this song, but nothing bad either. I rate it a 7. 89/100 – not bad at all for a debut album : -). So guys, here you finally have yourselves a solid tape with gorgeous vocals and beautiful songs. I highly recommend it. And I can only wish Michoel a ton of hatzlocha as he embarks on his solo career. I promised I would review this album since there hasn't been much discussion about it in the 5 months since its release. Although we haven't talked much about it, we never know what our lurkers are interested in. So here goes. This review will be a bit different from my previous reviews since I'm dealing with a completely different type of JM. These are not songs composed to provide "kosher entertainment" (as Rabbi Leff put it); rather these are niggunim specifically designed to bring people closer to Hashem. Avraham Fried does a stellar job singing these niggunim; he says in the CD insert that he grew up with these songs and wants to share with JM-listening world the spirituality of Chabad niggunim. Avremi G provides the album with pratically perfect arrangements, modern enough for contemperary listeners to enjoy, yet compatible with the style of the niggunim. In comparison to AF's last niggun release "niggun HaBesht", i think he chose a much bigger variety of niggunim on this album, making it more enjoyable. Also Avremi G's arrangements make "Avinu Malkeinu" the perfect addition to any JM collection. Now on to the selections. 4. higoleh Nah: A gorgeous slow melody marking the arrival of Shabbos. This is my favourite slow selection on the album. It has a really nice tune, great harmonies; an authentic niggun in true AF style. Also it doesn't go on for to long which makes it more enjoybale. 9. 5. Karahod! Now this a unique one. I think of it as more of a musical comedy routine than a song. It starts off with jazz-type music, creating a sense of informality, like everyone's at a party. (The insert says that this is occasionally performed at intimate Chassidishe weddings) AF plays the role of a newcomer from the town of Pahotzik. Everyone (choir) exchanges Sholom Aleichem, ask him where he's from etc, then they ask what people do in Pahotzik. To which AF answers: "Men zogt l'chaim un m'iz freilach un men geit a Karahod." (We say l'chaim and we're happy and we dance a Karahod.) then the tempo changes a couple times with eevryone singing men zogt l'chaim etc. Then, the jazz kicks in again, a bit faster than ythe intro this time. AF goes into English, "We say l'chaim etc." Then he starts this sequence about drinking mashke and something esle (still trying to understand it..); he goes crazy a little bit, giving the impression that the party-goers are becoming shikker. Then they revert back to the original chorus and end of with a contented sigh and the jazz conclusion. This gets a 10 for originality both music-wise and content-wise, and i think AF did an exceptional job creating the environment this "niggun" represents. It's no wonder it got high ratings on the Mitzad! 7. Niggun Hachono. This is the prelude niggun to the holy "forbidden niggun" of the Alter Rebbe. I've sung the hachono niggun many times at Farbrengens etc. A great example of Hisvaadus, niggunim that Chassidim sing when they come together to discuss Chassidus, or other divrei Torah. I heard on a jmintheam interview with Avraham Fried that he doubts he will ever record the "Forbidden niggun" (which is only sung at special occasions, eg. chasunos and then end of a Yom Tov); it wouldn't be respectful. Very nice niggun, and once again it doen't go for too long. 8. 9. Niggun Simcha. An intersesting selection compared to the other two Niggunei Simcha on niggun Habesht. It's a little different, not as fast. not much else to comment; it's an ok selction. 7. 11. Grand Finale. Wow, they really mean business!! Compared to the lacklustre 3-song final medley on Niggun HaBesht, this is truly amazing. The selections are: Ki Elokim- fast paced niggun to the tune of "dayeinu"; Chotsh Mechudi- a nice Ukranian hora; Der Rebbe Hot Geheisen Feeilich Zein- another hora; Modzeh Modzeh Dringzadal-"a fiesty Russian funke-tune" (quote from insert); Vayehi Bimei Achashveirosh- An extremely lebedige niggun that REALLY gets you in the Purim mood! ; Then there's about 3 wordless niggunim-pretty good, then E Vad'ye Mih Neutonim- this one's weird, the owrds are hard to understand; and finally Ki v'simcha- a great way to finish the medley. they end off by AF shouting "ein Od milvado" and the music finishing. Excellent music and singing- 9.5. Every album has it's "shtick" and Avinu Malkeinu is noe xcpetion. At the end of the album there are brief 5-second snippets from Ein Od, R' shloime's niggun, Torah Medley and Karahod. Overall rating of album: 90/110 or 82%. In conclusion, if you enjoy, Chassidishe niggunim,this is the album for you. AF makes it sound very authentic. And you aren't famailiar with niggunim yet, now would be a good time to start. Niggunim are definitely an example of REAL JM, designed to bring people closer to Hashem. I must admit that at first I was a little skeptical. I wasn’t blown away by the songs I initially heard on the radio. But Shloime was right; you have to hear a CD thoroughly 2-3 times before passing judgement. Even though my mistake earned me a free CD and Shloime’s friendship, I’ll try not to be biased and be truthful about the album. I usually have a hard time liking solo albums because they generally bore me. You all know that I go for group acts, choirs, and all star albums above solo acts any time. But like Acheinu, almost every song on the album is a hit. I was very impressed with the CD; many moving slow songs and lively catchy songs. Of course Shloime puts in his unique hartzigkeit into his delivery, making the CD for very pleasant listening. Shloime had said a while ago in several interviews (I remember a Dov Hikind interview clearly) that this is gonna be a “new, up-to-date”, sort of reinvented, hip Shloime Dachs. I didn’t find it to be the case too much, although some of the songs do have a more contemporary flavor which reflects the current trends and consumer demands in the Jewish music industry. Ain Lanu, Forever, and Avinu might be characterized as the “new” Shloime style, but the rest of the album is consistent with Shloime’s usual style. Unless, perhaps, I haven’t really been following him too closely the past decade and don’t know much about his “style” (but I do believe I have some knowledge)…. The cd insert has some interesting things of note: The front cover is a picture of Shloime in Tallis and Tefillin – now we are all privileged to see Shloime’s elbow. (just kiddin). His credits are a veritable who’s who in Jewish music: He thanks Nachum Segal, Hersh Einhorn, Shelly Lang, Aaron Teitelbaum, Yisroel Lamm, Suki & Ding, Sheya Mendlowitz, MBD, Avremel, Dedi, Yisroel Williger. 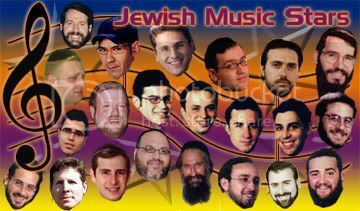 Mendy Wald, Michoel Schnitzler, Lipa Schmeltzer, Avrumi Flam, Shlomo Simcha, Yossi Green, J.J. Fried, Yossi Tyberg, Rivie Schwebel, Moshe & Eli Laufer, Adam Melzer, Yochi Briskman, Avremi G., Shloime Ash, and a whole bunch of other names in the business…. Wow. I guess he knows everyone and everyone knows him :) Just imagine a concert with all of the above referenced people. You’d need the Giants Stadium. And who wouldn’t go? By the way I was very surprised when I put the CD into my computer that Windows Media automatically filled in the names of the songs for me. I wonder if someone ALREADY put the information in so that WMP was able to supply me with it, or if it’s programmed into the CD? I forgot to mention that the CD has an interactive clip that can be viewed on your pc. It has links to see other cds of his, his site, his email address, etc., and there is a 7 minute VERY MOVING video clip sung to his Im Eshkachech song which I think will touch every heart. I was crying when I watched it! It’s beautiful. I like this new trend that Gideon started with interactive clips on the cd. This hora opener is the true hit of the tape. Although I had criticized it at first, I fell in love with it after several listens. It’s lebedig; it’s fun; it’ll have you off your feet and dancing in no time. The music is full and rich and great. I think this is a new wedding hit, and will become Shloime’s new “signature song” – his new “K’Ish Echod” if you will, and I think it’s a masterpiece. This interesting song starts off slow and suddenly becomes lebedig. I like this song a lot. Isn’t it funny how Ani Maamins can be slow and fast and they sound great in both tempos! Keli Lama, Azavtanee? Father dear, where are you? Can’t you see me? We can dream, we can hope for times of change When evil men will pay, and only good remains We will laugh, when you stage that final play To even out the score, and we’ll no longer say…. Keli Lama, Azavtanu? Father dear, where are you? Can’t you see me? This is the song on the Arutz Sheva charts. This track is not my personal favorite and I think Kobi could’ve chosen a better song, like track 1, or maybe track 6. This song is a medium fast song – not a slow hora, more of a slow fast. I think I hear Gideon Levine in this song, if I’m not mistaken. This title track is suprisingly a half Yiddish half Loshon Kodesh song. I love it!!! It’s my 2nd favorite song on the tape (1st place goes to Forever). The words are: Tatte Zeeser Helf Shoin Alleh Yidden, Helf Shoin Daina Kinderlach, Avinu Malkeinu, Malei Yodeinu Mibirchosecha. The Yiddish words are very tastefully chosen apparently; it is pronounced the same way in the Litvish and the Chasidish dialects, so it’s easy for it to be sung in all kehillas and the song doesn’t make anyone feel “left out”. This song is the most daring and “different” one on the album, and I really, really like it. I think this song will appeal to a cross section of different people and might become a universally accepted hit song. It’s nice for a change to hear an Avinu Malkeinu fast song! The song itself is nice, but I personally am not crazy over it. For starters, Asher Bara in my taste belongs to be a fast song. Also, somehow in this song I feel like I’ve heard it SOMEWHERE – it’s probably the most typical and un-different song on the album. Oh, well, not all songs can appeal to everyone! Shloime dedicated this song to newlyweds Mendy & Henny Wald and Menachem & Yael Toker. Anyone know if Toker actually got married yet? Nice fast song, composed by Yishai Lapidot – nothing extraordinary, but a nice smooth flowing fast one. Words: Bayom Hahu Yihyeh HaShem Echod Ushmo Echod, Kakosuv B’Sorosecheo, shtait in dain torah… a little bit of a different kvetch there. It seems that the quality of the songs begin the decline the later we get in the tape, or maybe it’s my taste, because I don’t think this song is anything special. It was composed by Yitzy Waldner. Definitely not hit material, but good enough to make it on a Shloime Dachs tape. This is a very nice and moving slow song, not slow enough to bore you, yet heartfelt and inspiring enough to befit the words Shomer Yisroel. Shloime dedicates this song to the volunteers and staff of all the organizations that help bring a smile to the facts of special children and their families. It is a well known fact that Shloime is very involved with Ohel and does a lot of good with special children and adults, as well as bikur cholim. (He even thanks the bikur cholim crew on the insert). The lyrics are pretty original – from pirkei avos, aizo hee derech yeshara sheyavar lo ha’adam, kol shehee tiferes le’oseho v’siferes lo min h’adam. The tune is not majorly original, but it’s a nice song to end off the album. There’s a short piece of semi-chazanus in the middle. Pretty cute to hear shloime dach’s do chazanus – not boring chazanus but cute chazanus. It’s an original idea. 12 There is a hidden track – a short acapella version of Im Eshkachech which is almost nicer than the song itself! A cappella is always beautiful. In short, (Short? This review turned out to be four pages long!) it’s a great album – a must get for Shloime Dachs fans, and if you’re not a fan yet, you just might be one by the time you finish listening!